Brandon “Taz” Niederauer has announced tour dates leading into the new year extending into the end of February 2019. He’ll be hitting the road on November 30 with his first show in Washington, DC. From there he’ll be going to Annapolis, MD, Wilkes-barre, PA, New York City, and then Philadelphia, PA for his last show Of 2018 on December 15th. After New Year’s, he’s set to play on the sold out Jam Cruise. Once back on dry land, he’ll be in Anaheim, CA January 24 and 25. On the 26th of January he’s back on the east coast in Boca Raton, FL. February 8th he’s in New York for two shows in Buffalo. On the 17th he’ll be in Pittsburgh, PA. From there is going to Indianapolis, IN, Cincinnati, OH, Nashville, TN, Asheville, NC, and finishing in Roanoke, VA on February 23rd. For a fifteen year old, Brandon “Taz” Niederauer is already a legend on the guitar. 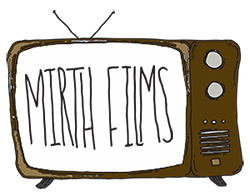 He’s had many chances to play with big bands and we at Mirth Films are very excited to see where this kid is going to go.